Esta semana hemos disfrutado de una variedad de juegos motrices donde no hemos parado de correr y reír un segundo. "Tulipán", "Polis y Cacos", "La cadena", "Bulo-dog"... 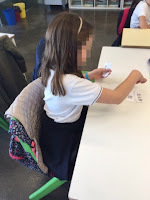 Son algunos ejemplos de cómo los niños de 1º se divierten y aprenden en clase de Educación Física. 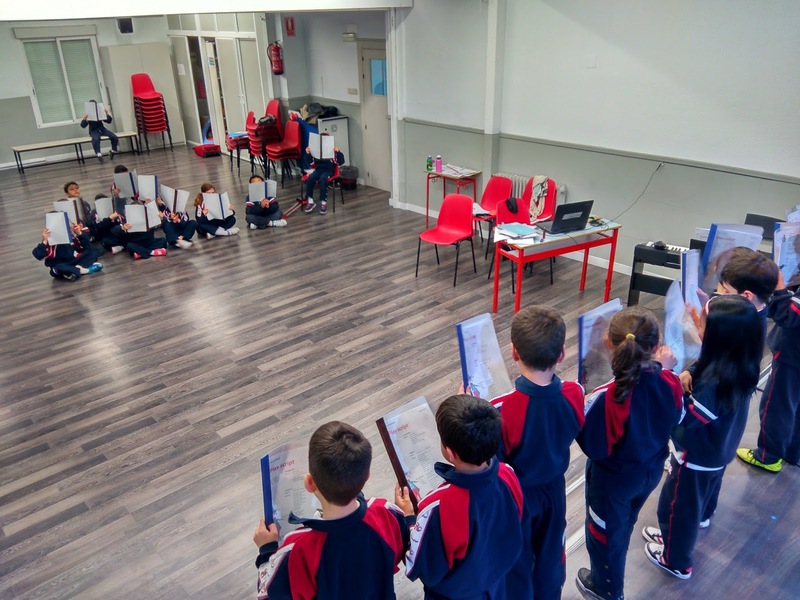 En teatro estamos trabajando unas obras teatrales, en inglés, sobre un brujo. Se nos da fenomenal hacer actividades de expresión corporal e improvisar con algún número que hayamos preparado fuera de clase. ¡Nos encanta trabajar en grupo, bailar y cantar! 3rd graders are reviewing the Autonomous Communities of Spain with a very cool game. You throw the ball to somebody saying an Autonomous Community and that classmate has to tell the capital of that Autonomous Community. "Learning about weather in chinese"
In the Chinese classes we have been learning about weather. We learnt how to say many things such as "How is the weather today?" (今天的天气怎么样), "I am going to the zoo, and you?" (我要去动物园看熊猫，你呢) or "Let's go to see the pandas" (我们一起去动物园看熊猫). We learnt a lot! In 5th grade we have been investigating how some variables such as temperature, colour, number and type of liquid can affect in the speed of dissolution of M&Ms. We discovered that dark colour M&Ms dissolve faster in temperature water than light colour M&Ms, that M&Ms dissolve faster in hot water and that if you put two M&Ms together in a plate with water, the colours they spread don't mix! We learnt a lot about solubility! 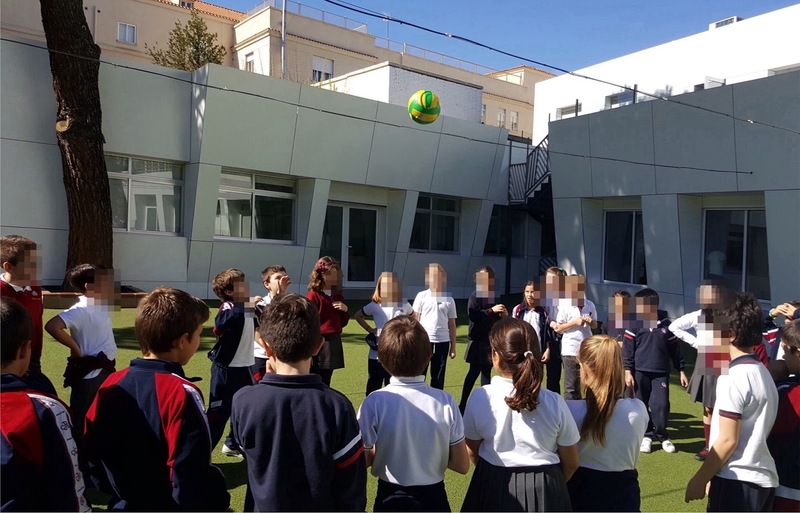 Esta semana los alumnos de 5º de Primaria han estado estudiando en la clase de Francés la geografía francesa (ciudades, ríos, fronteras y sistemas montañosos entre otras cosas). Entre algunas curiosidades, han aprendido también que en Avignon estaba la antigua residencia papal y han estado escuchando la famosa canción "Sur le pont d'avignon". "Cultural monuments in the world"
This week in the English class we have been working on famous cultural monuments in the world. At the end of the week we presented our project for the class. We learnt a lot of interesting facts about some popular sites and monuments all over the world.